Yesterday we were craving lemonade at dinner. All I had were two lemons, so after a quick google search I found the recommended proportions and decided to try it out. It ended up being so good and easy to make that I will never go back to powder mix or store bought again. We have a little juicer that his parents handed down to us (something I never would have bought, but I love), and juicing our two lemons made 1/2 cup, so we halved the following recipe. Dissolve 1 c. sugar in 1 c. water over heat (to make simple syrup). Mix it in a pitcher with 1 c. fresh lemon juice, and add 3-4 c. cold water to dilute. Enjoy. 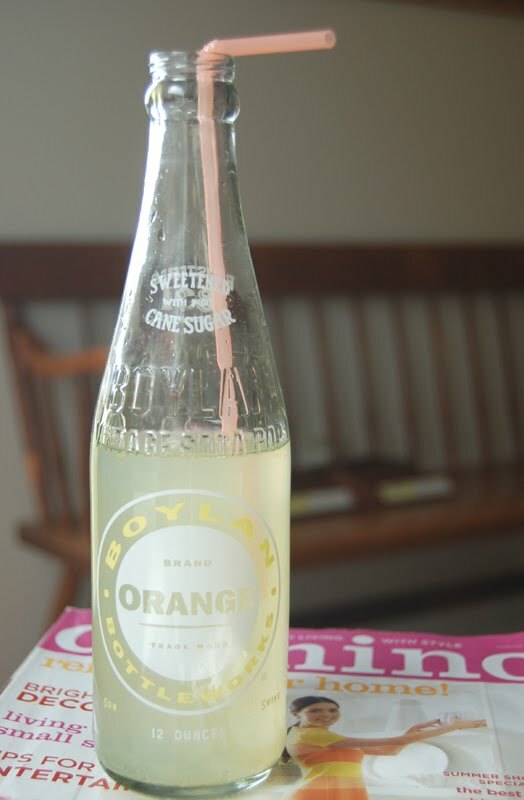 And for fun, pour into cute glass bottles to drink from (I keep a cupboard shelf full of pretty saved ones!). Oh wow, it is wonderful that you keep a cupboard shelf full of these pretty glass bottles. It must feel so awesome drinking it from there. An sweet easy treat! Oh, so fun! I want to register for a juicer! Thanks for the feedback on my save the date! Hope you're having a great week! 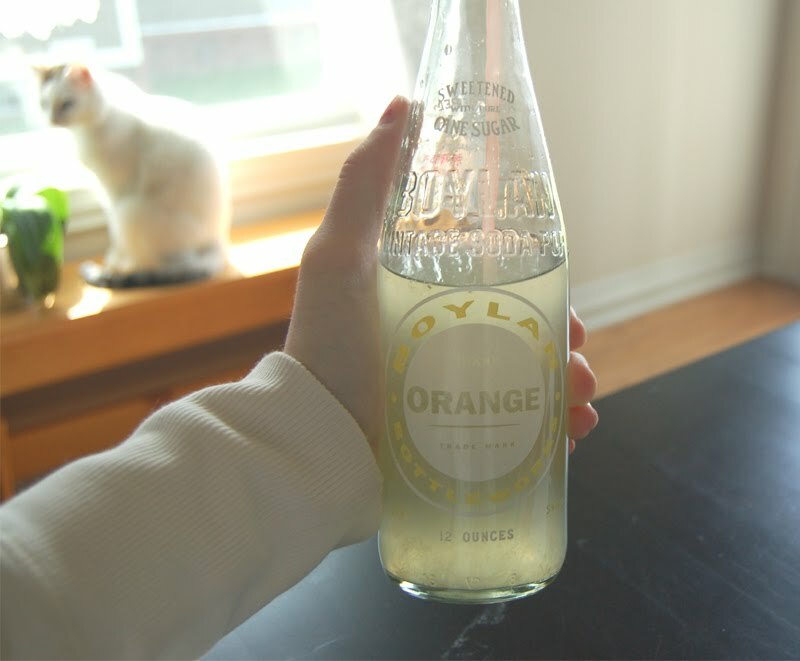 what a cute idea to save glass bottles, I always seem to come across neat ones, I'll have to hold onto them from now on. We have a lemon tree that is out of control so there has been a lot of homemade lemonade making going on. I agree its so much better than powder mix! PS: Love how you served up in the glass bottles! Yum! I can't wait to make raspberry lemonade. Maybe this weekend!! sounds yummy and refreshing and the bottles you put the drink into, looks like it's made it even more fun to drink. Love your pictures by the way. Your getting pretty good at becoming a budding stylist.